make it perfect: .Thanks Amy!. Not surprisingly, she's done it again. 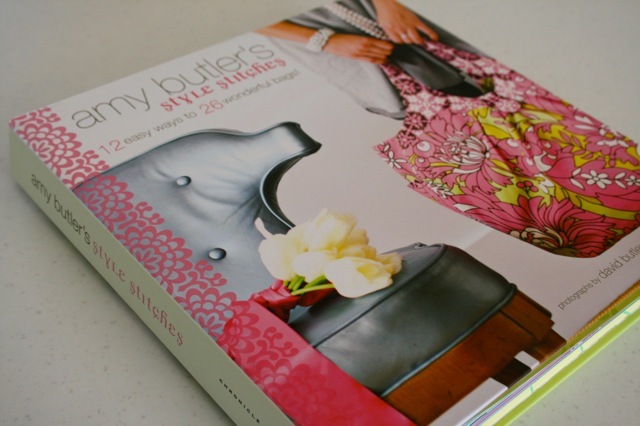 I'm a sucker for Amy Butler books (and fabric and patterns...) and am very impressed with her new book, Style Stitches. I'm pretty picky when it comes to bag patterns and find it quite difficult to find ones that suit my needs. They need to be big (I have tried small bags and they don't work! 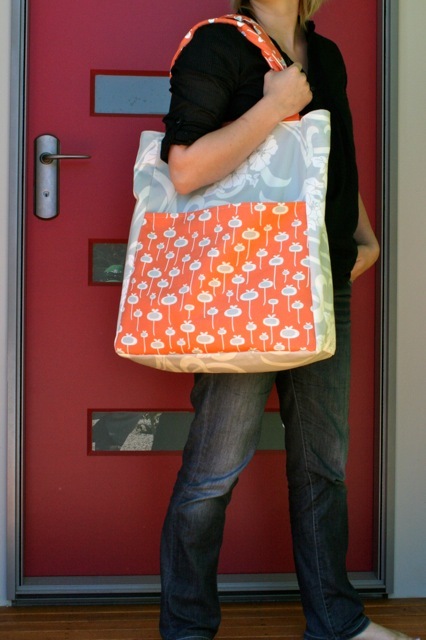 ), a bit stylish - not too "cute", easy to carry, a big pocket or two and quick and easy to make. Previously, Amy's Nappy Bag and Birdie Sling patterns have been my "go-to" bag patterns. But after a few years of using these bags, they are turning up everywhere and I have been ready to try a new bag pattern for awhile. 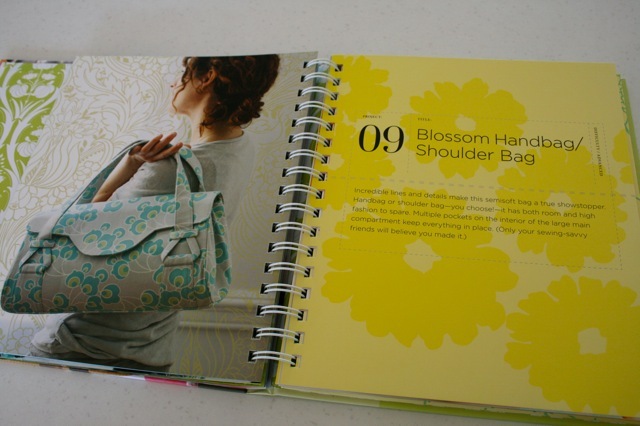 Enter Style Stitches...a book full of BAG patterns! It really is a great book - there are at least 4 patterns I am very sure I will be trying out, which is a good indicator of a worthwhile purchase! Just after I received the book, I got an email from Quilt Home with a newsletter special of 40% off their Home Dec fabrics. A few of the bags I wanted to make specified Home Dec fabric, so I made the most of the special and purchased some. There has been a bit of a sewing-lull around here lately. I've got a lot of projects on my "to-do" list but the motivation just isn't there. I get like this from time to time and just have to wait for the desire to resurface - not so good when Quilt Market is just around the corner though and I really need to get designing some new patterns and sewing some new samples for it! Last night a little window of desire surfaced though...Jaron was out at basket ball, the kids went to bed (AND sleep) early and the house was mostly tidy so I pulled out my sewing supplies and spent the evening sewing the Reversible Everyday Shopper. I was very pleased that this bag only took me two hours from the time I traced and cut out the pattern pieces to the end! It was very simple to sew, gotta love an instant-gratification sewing project! And, yep, it ticks all of the boxes...big (in fact, it is massive! ), stylish, easy to carry, pockets and quick and easy to make! My intention for this bag is to carry all of the "kid stuff" that goes with me from day to day. They are a bit old for nappy bag attire now and I find that my bag is stuffed with 3 lunchboxes, 3 drink bottles, 3 hats, 3 jumpers, some wipes, a nappy as well as my essentials. My bag is always overflowing, but this one is definitely going to fit the mould! It will also be perfect for taking to church and filling with colouring books, pencils, books, snacks and bits and pieces to keep the kids quiet. And, I'm happy to say that I think the sewing-bug is slowly creeping back - phew! Ohhh I LOVE this!!! Those bags are adorable, thanks for posting this, by the way I LOVE your blog!!! 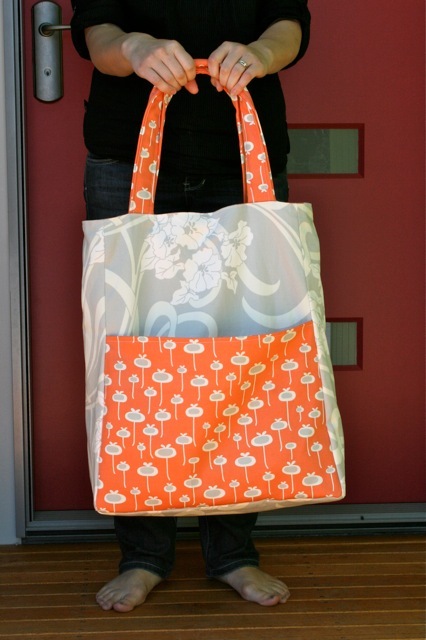 Love your Reversible Everyday Shopper, great fabric! How lovely. I'm excited to see your blossom bag! I just added that book to my 'mommy wish list' last week! Looks lovely, and who doesn't love a new bag to sew? I've got my book too and I can't wait to make some of them!! I love the way your bag turned out!! I love this book too! I made the "Miss Maven Ruffled Handbag" a few weeks ago. It's not necessarily the most practical bag (I'm more of a shoulder bag girl) but it's adorable and I love it! 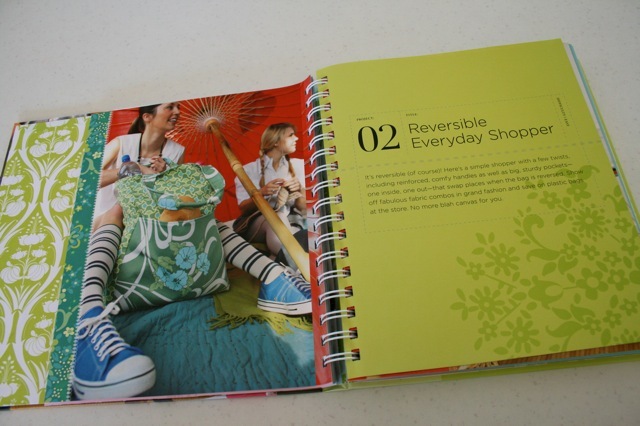 Thanks for sharing a pic of the Everyday Shopper on your shoulder - helps to see the scale of it! Those are so adorable! This book is definitely on my wishlist! I flipped through this at the bookstore the other day and wanted it sooooo badly. Right now I have a rather large bag/tote/purse collection so I thought I'd wait. You're making me want to go back to the bookstore tomorrow! I made that bag recently and love it as well! Super easy & quick gratification! Amor a primeira vista!!!!! 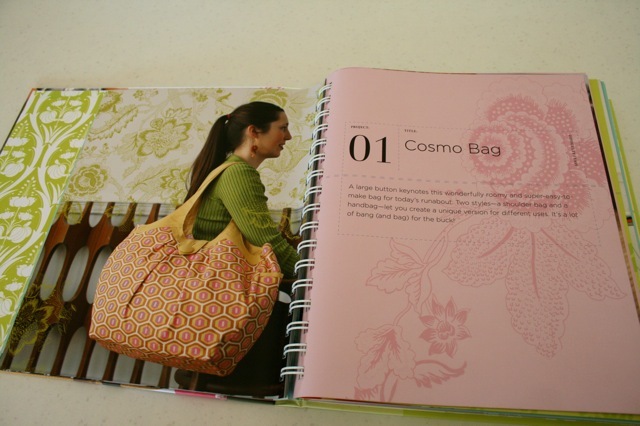 Eu quero essa bolsa "Cosmo Bag"!!!! Também tenho crianças e nunca encontrei uma bolsa tão grande e bonita. Como faço para obter o molde???? Entrei no site, mas não entendo direito. Você poderia me ajudar??? Moro em outro país. Esqueci de deixar meu e-mail, não tenho blog. Por favor, aguardo resposta ansiosamente!!! !